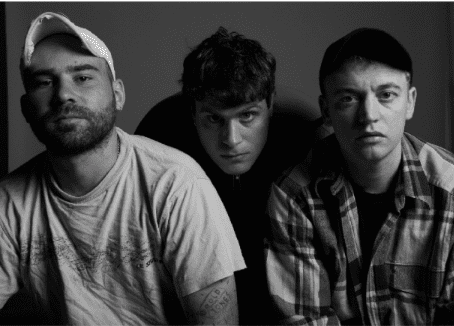 Aussie indie trio DMA’S are set to start touring the UK following the release of their second album For Now earlier in April this year. With tunes reminiscent of nineties indie classics, but with a refreshingly modern twist, DMA’S have been attracting a lot of well-earned attention recently. Catching up with Tommy O’Dell, the lead singer, he talks about their experience creating their new album and what is yet to come for the three. For fans of the Mancunian ‘greats’ such as Oasis, the Stone Roses, Happy Mondays etc., the band’s songs such as title track ‘For Now’ have a definite likeness to the indie-rock “baggy” feel of the Madchester nineties scene. But as Tommy highlights, the three songwriters have taken inspiration from a huge range of other genres. From the likes of Sonic Youth and Depeche Mode to folk-rock artists like Neil Young, Bruce Springsteen, and Bob Dylan. Their new album marks a sure shift away from the Oasis comparisons that have been made by many. Mentioning artists Frank Ocean and even electronic dance duo Orbital as influences that have shaped their tunes in some way, Tommy says how he could “go on for ages” about all the artists that the trio love. It’s been an exciting year for DMA’S with sets at multiple festivals and a sell-out of their UK tour which starts this December. Tommy recalls playing at Lowlands, Leeds, and Reading festivals as particular highlights in the band’s busy schedule. They’re set to play with Courteeners when back in Manchester next June. But who would be their dream artist or band to support? “The Stone Roses at a stadium” Tommy answers. The band clearly aren’t straying too far from their musical icons anytime soon! DMA’S were not the only Australian artists to play at Lowlands, and the band had an “awesome” time hanging out with others. On the topic of other Australian bands that we should be keeping an eye out for soon, Tommy names Rolling Blackouts Coastal Fever, and Hatchie. For those of you that, like myself, have been wondering what the name DMA’S actually stands for, the name comes from a nickname they had for their old name, Dirty Ma’s, according to Tommy. Describing their new name as being more like a ‘barcode’ or a ‘symbol’, the band realised that they preferred their nickname more. The making of their second album saw the move from home-recording to the studio, but DMA’S have still got that rough, home-recorded charm about them. Polishing tunes up in a proper studio has reportedly had a big impact for the band, but they are continuing to “demo in a home setting.” They still “place huge emphasis on melody and writing lyrics that resonate,” answered Tommy when I asked about how their music has changed or evolved with the release of their second album. Despite For Now placing “more focus on production and instrumentation” than the band’s debut album Hills End, their music still calls out to those well-known, relatable feelings of love and escapism. And what does the band want people to take from listening to the album? I asked. Simply to “enjoy the tunes and feel emotion”, to “help them have a good time or get through a tough stage.” Whether searching for some tunes that resonate with these feelings or just wanting to enjoy listening, the beauty of DMA’S music is that the interpretation is up to the listener. “That’s what music is about for us,” says Tommy. Keep your eyes and ears peeled, as there is more to come from DMA’S, Tommy hinting that “a third album with big grooves” can be expected in the future. Catch DMA’S supporting Courteeners at Heaton Park on 15 June, they can’t wait for the show.